The Star-Spangled Banner is the national anthem of the United States. Here is the complete history of that song with links to hover over for accessing interactive exhibits. The Star-Spangled Banner should first be appreciated as a song consisting of lyrics and music. The words are a poem describing one person's reaction to the scene of a battle in a long ago war. The melody has a range of one and one half octaves making it difficult to sing for many people. You can learn the words and music by joining in The Star-Spangled Banner sing-along to the right. Turn on your computer's speakers and click on the camp fire singing group to the right. After you return from the sing-along, there are five performances of The Star-Spangled Banner in differing styles to enjoy. Hover your cursor over the name of any singer or group listed below. Francis Scott Key was an American lawyer and amateur poet. The story of his writing the lyrics to The Star-Spangled Banner is a dramatic story. The United States suffered an appalling defeat during the War of 1812. 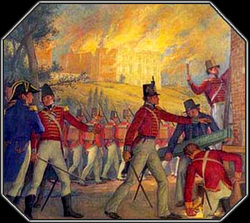 Troops from Great Britain invaded Washington DC on August 24, 1814, partially burning the US Capitol building and the White House. After the attack, several Americans arrested approximately six British army deserters. One of these prisoners escaped and informed the British of the incident. British marines jailed the participating Americans and held them in exchange for the British prisoners. When the Americans released their prisoners, the British freed all but one, Dr. William Beanes, who the British believed started the episode. Dr. Beanes was taken prisoner and held on the British flagship HMS Tonnant in Chesapeake Bay. 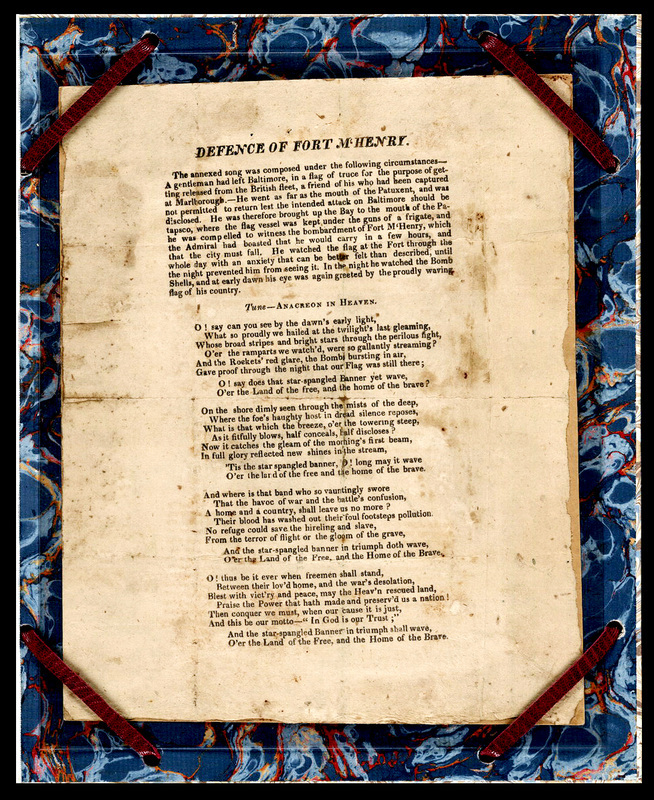 A patient of Beanes’ urged Francis Scott Key to help free Beanes. On September 3, 1814, Key accompanied American Prisoner Exchange Agent Col. John Stuart Skinner from Baltimore to the Tonnant aboard a truce ship a ship not engaged in military activity. While they successfully negotiated Dr. Beanes’ freedom, Key and Col. Skinner learned of the British preparations to attack Baltimore. For this reason, the three Americans were held onboard the HMS Surprize but later returned to their ship while being held under guard behind the British fleet. From this position, they viewed the naval bombardment of rockets and mortar shells upon Fort McHenry some eight miles away. The assault began on Tuesday, September 13 and continued throughout the night for twenty-five hours. Early the following morning, September 14, 1814, the sounds of battle ended. The silence indicated that either the battle ended in American surrender or that the British halted the attack after having failed to destroy the fort. 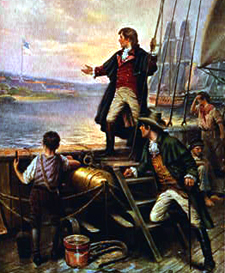 From his location as the sun rose, Francis Scott Key could see the oversized United States flag still flying over Fort McHenry, indicating that the victory belonged to the Americans. Excited by the sight of battle and an American triumph, Key quickly began writing on the back of a letter found in his pocket. Set to the meter of a familiar song entited “To Anacreon in Heaven,” he continued writing his verse while sailing back to Baltimore. The four stanza poem was completed at the Indian Queen Hotel. The song’s first public performance was given by Ferdinand Durang at Captain McCauley’s tavern in Baltimore in October 1814. In 1970, Francis Scott Key was inducted into the Songwriters’ Hall of Fame. Fearing an attack from the British during the Revolutionary War, the people of Baltimore built Fort Whetstone on Whetstone Point, a peninsula vital to the defense of Baltimore. When plans for a new star fort in 1798 proved to be expensive, politician James McHenry helped raise the necessary funds. Fort McHenry was, therefore, named in his honor. Fort McHenry is remembered for its role in successfully defending Baltimore Harbor from the British during the Battle of Baltimore, a turning point in the War of 1812. The fight consisted of a combined British land invasion from northeast of Baltimore and a sea bombardment from the south. The assault on Fort McHenry was the responsibility of British Vice Admiral Alexander Cochrane. To prevent the passage of British ships, American merchant ships had been sunk in the entrance of Baltimore Harbor. Fort McHenry was manned by one thousand soldiers under commanding officer Major George Armistead, when the British fleet began its attack on the morning of September 13. The ships fired 1500 Congreve rockets and mortar shells at Fort McHenry which responded with cannon fire. The British fleet repositioned itself beyond the range of the McHenry’s cannons and continued the bombardment of the American fortress for another twenty-five hours. 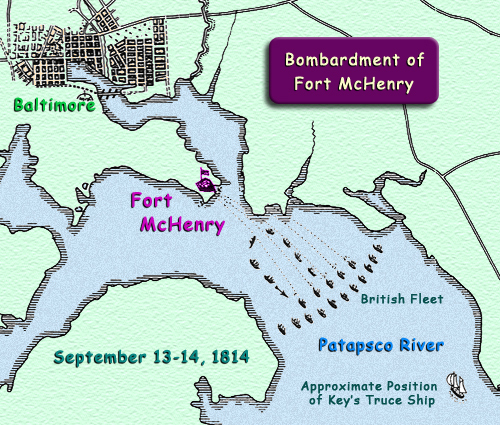 Cochrane attempted a landing party to the west of the fort as a diversion, permitting British forces to attack the eastern border of Baltimore. This attack failed. 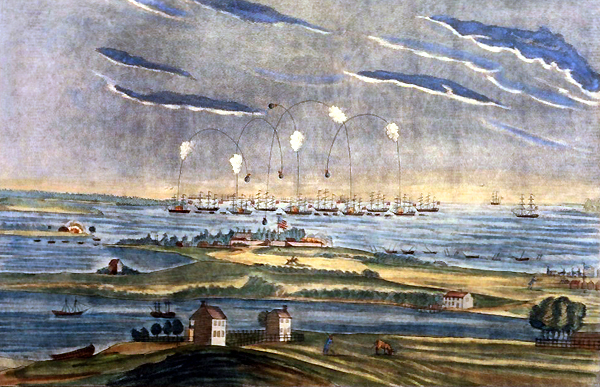 "A View of the Bombardment of Fort McHenry"
Major Armistead’s successful defense of Fort McHenry resulted in a promotion by President James Madison to brevet lieutenant colonel, retroactively effective as of September 12, 1814. During the Civil War, union soldiers were stationed at Fort McHenry to prevent Baltimore from joining the Confederacy. The fort’s guns were now turned toward the city rather than out to the Patapsco River. Confederate soldiers and sympathizers were imprisoned at the fort during the war. In 1917, General Hospital No. 2, the largest military hospital in the country, treated wounded American soldiers during World War I. The temporary buildings of the hospital were demolished in 1925. 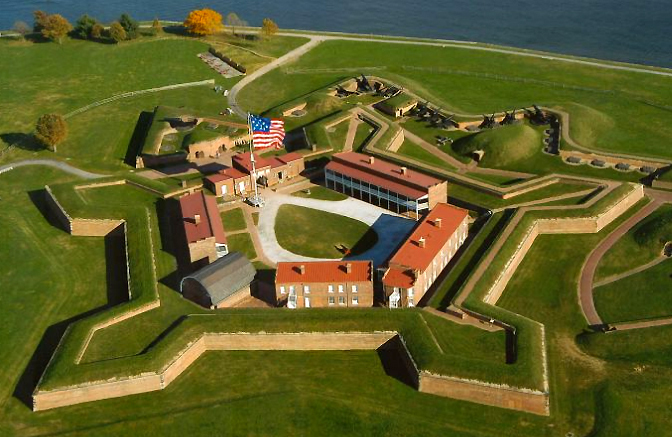 The Fort McHenry National Monument and Historic Shrine is now a national park, administered by the National Park Service, with numerous exhibits relating the fort's considerable history. The American flag that flew over Fort McHenry on the night of the British attack had fifteen white stars against a blue background and fifteen alternating red and white stripes. The Second Continental Congress passed the Flag Resolution on June 14, 1777, mandating that the new nation would have a flag consisting of thirteen stars and thirteen stripes. When Vermont and Kentucky joined the original thirteen states of the union, both the number of stars and stripes were increased to fifteen. This was the design of the national flag during the War of 1812. The Fort McHenry flag viewed by Francis Scott Key was commissioned, by Major George Armistead, the Commander of Fort McHenry. Armistead ordered "a flag so large that the British would have no difficulty seeing it from a distance." The garrison flag was hand sewn by Mary Young Pickersgill, a professional flag-maker from Baltimore, assisted by her thirteen year old daughter, Caroline, two nieces, and two African American servants in just six weeks. Following the bombardment of Fort McHenry, the garrison flag remained in the possession of Major Armistead and his relatives until 1907. 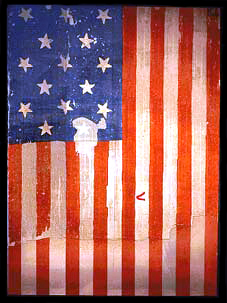 During this time a star was cut from the flag and a letter appearing to be an "A" was sewn on. The flag that flew over Fort McHenry has undergone an $18 million restoration and is currently on display at the Smithsonian Institution’s National Museum of American History in Washington DC. 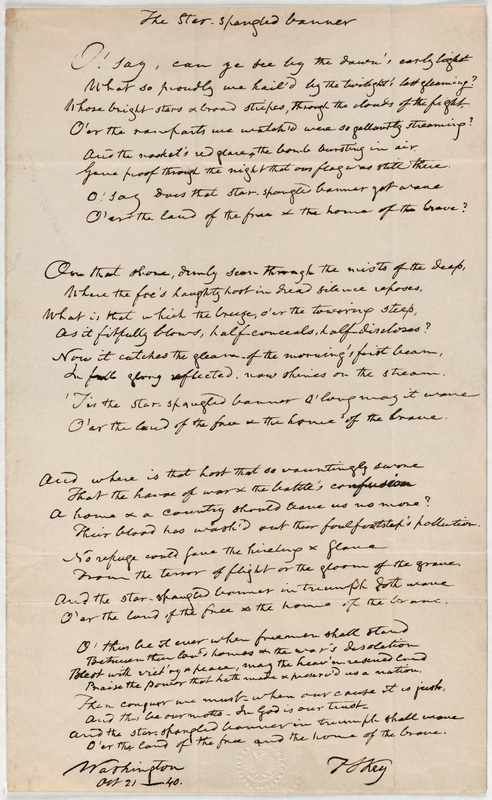 Francis Scott Key's poem, written as a rallying cry in the midst of war, has both a patriotic and defiant tone. Each of the four stanzas provides a unique emotional reaction to the bombardment. The Anacreontic Society was a gentlemen’s club of amateur musicians, named for the Greek lyric poet Anacreon. Founded in the mid-1700’s in London, the organization encouraged an interest in music. The official song of the Anacreontic Society was “To Anacreon in Heaven.” The lyrics were written by Ralph Tomlinson, the Society’s president, and the melody composed by John Stafford Smith, a composer and church organist. The song was first published in London by 1778. As a drinking song, "To Anacreon in Heaven" became popular while new songs were set to its melody. 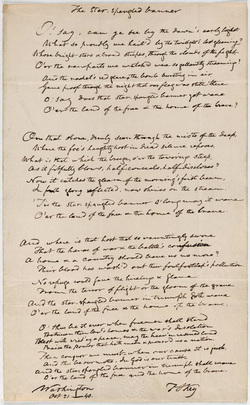 The patriotic American songs, "Adams and Liberty" and the later adaptation "Jefferson and Liberty," praised the second and third Presidents of the United States using this same tune. Unquestionably, The Star-Spangled Banner is the most famous adaptation of "To Anacreon in Heaven." 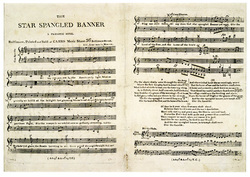 Throughout the nineteenth century, the Star-Spangled Banner became increasingly popular as it was performed at public events such as Fourth of July celebrations. On July 27, 1889, The Star-Spangled Banner was selected as the official song to be played whenever the flag was raised at ceremonies of the United States Navy. The White House followed in 1916 when President Woodrow Wilson photo directed that The Star-Spangled Banner be played during official gatherings and military proceedings. The Star-Spangled Banner was adopted as the national anthem of the United States by a Congressional resolution, signed by President Herbert Hoover, photo on March 3, 1931. Surprisingly, until this time, the United States did not have a national anthem. 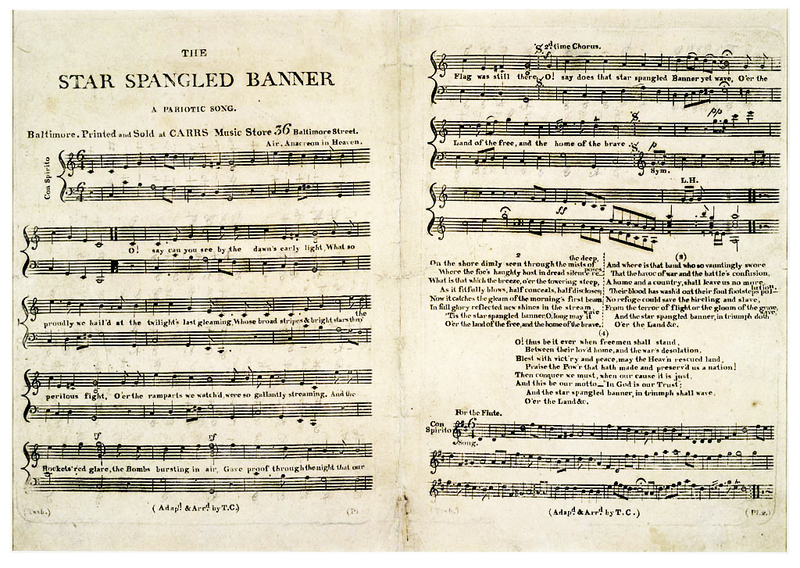 Today, only the first of the four stanzas of The Star-Spangled Banner is typically performed. A gallery of historic images on the history of our national anthem accompany this article.